Wilhelm Maybach was a brilliant automotive engineer and he does not get the recognition today that he deserves. Unfortunately, today, his name is more likely associated with a short-lived, over-priced Benz driven by rappers than the brilliant cars he designed before WWII. The Mercedes Simplex was his design. This 35HP model is from 1909, the last year for the model, and the penultimate year for the Simplex. The engine is a 5.9-liter straight-four driving the rear wheels via a shaft. This car was used by a sheep station in Queensland, Australia. It was the station manager’s car from 1914 into the 1930s and was regularly used in the very-inhospitable Australian outback. The car was sold to another outback outpost where it remained until the 1980s. The beautiful restoration you see here was completed in 2010. It runs and drives and it’s simply incredible it survived such a harsh, early life. But that’s a testament to Maybach’s industrious design. It should sell for between $640,000-$960,000. Click here for more info and here for more from Bonhams. 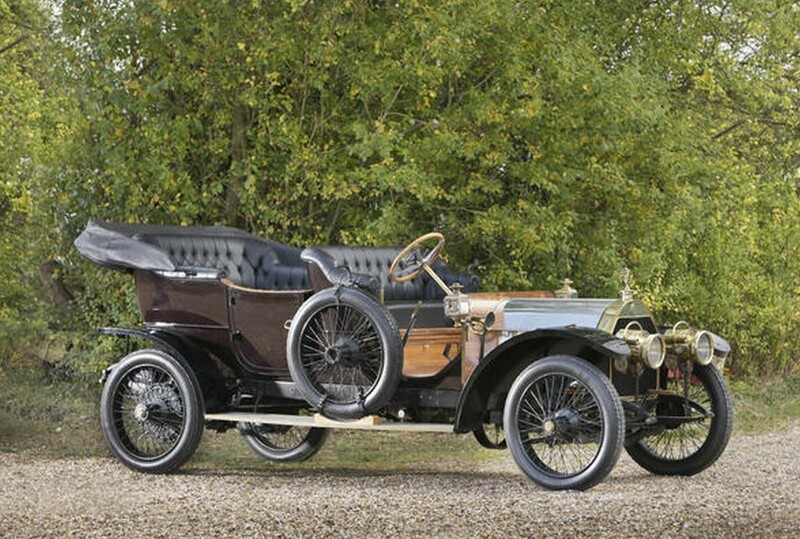 This entry was posted in Uncategorized and tagged 1909, 35hp, auctions, Bonhams, cars, classic cars, mercedes-simplex, roi des belges, tourer by classiccarweekly. Bookmark the permalink.